Taunt. Battlecry: Gain +1 Attack for each other Beast you have. He never sleeps. Not even in the mighty jungle. Apparently this card is for some reason too good to be allowed in DK Rexxar's Hero Power. The time might now be right for this card with all of the things available that create beast tokens these days. We don't just have release the hounds anymore. We have Rat Pack and Infested Wolf now too! Works p well with Unleash the Hounds in arena, or following up on Stranglethorn Tiger. Won me a game by forcing opponent to trade their board in, it's not crazy bad but definetely not the best pick. Ughhh, this guy just pales when placed side-by-side with Druid of the Fang. Unless you have literally 0 beasts or 6 beasts, Druid of the Fang will just be better. Taunt is useful but not when you're being a 3/6 with 1 beast when Druid of the Fang could be a 7/7. Not to mention that Druid of the Fang is unsilencable. This is like a weaker version of druids card, I run it in my beast hunter deck and rarely I gain more than 4 attack on it. 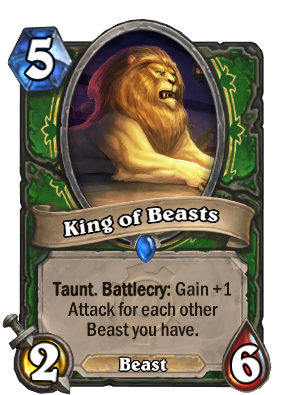 But it is nice to have good beast taunt in a deck. Sorry Blizzard this graphic looks like 90's MTG card. Too retro for me. You can do better than that. They didn't have to make this card worse than Druid of the Claw by miles, did they? Just how often are you going to have 3 beasts in play for it to become better? I think I'd rather just play Sludge Belcher. Seriously that artwork is hideous to have blizzard's name behind it. It's not even good in the real world either! It looks like someone's kid drew it in middle school... Seriously! Not even an exaggeration. This is my honest opinion. From Seamus Gallagher the Artist: http://media-cache-ak0.pinimg.com/736x/60/85/6c/60856c6cc8a0e3d2c81d56090674f192.jpg I would have expected something of this caliber... Maybe he was drunk because he certainly wasn't performing at his usual skill level. 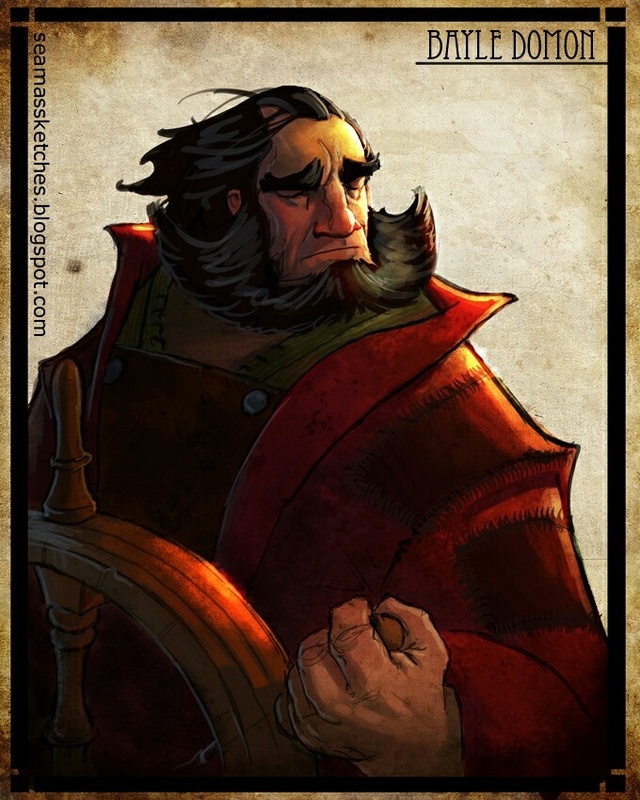 Is it for each other beast you have in play or in your hand? Eh merh gewd its the keng ofh bersts! I would have preferred if this was just a solid 4-6 taunt like Druid of the Claw, but a cool effect nonetheless. Thankful hunter got some big beastly bodies. Why you all liking this artwork? No I cant do artwork this well but its pretty weak imo. I can make a Lion King deck!